We Filipinos, love to celebrate different occasions in our lives and we celebrate it by the one thing we love to do the most, EATING! And what makes us unique is that when we eat, we love to share it with our loved ones! And so, came Big Guys Pizza! And they only had one mission: "To Serve our Filipino Needs". Since, 2010, they have been making the biggest and most affordable, over-sized Pizza in the Philippines. Not only is it perfect for gatherings, celebrations, parties, but it is also very affordable. Their signature 36-inch pie can feed up to 20 people and have atleast 70+ slices in it. Our 36 pies costs a little over P1,000 but we also offer pies in 10-, 15- and 20-inch diameters. 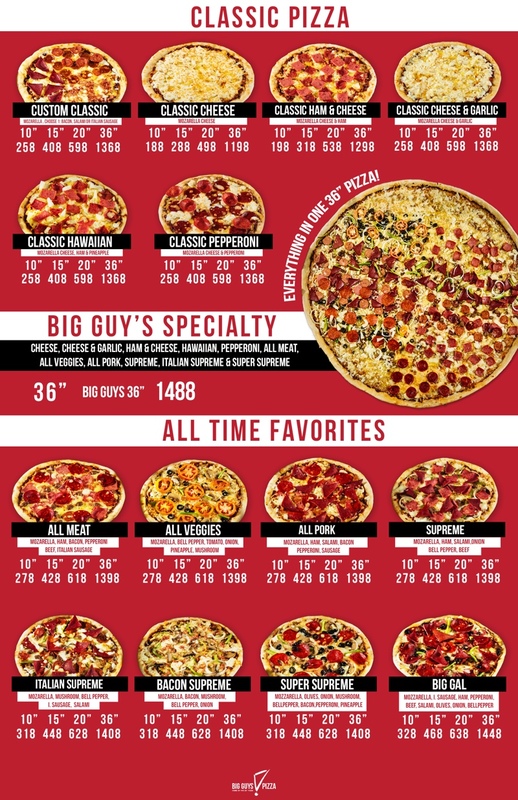 Best-selling flavors include Big Guys Specialty (12 flavors divided into one 36” Pizza)., All Meat, Super Supreme, Italian Supreme and Big Gal. 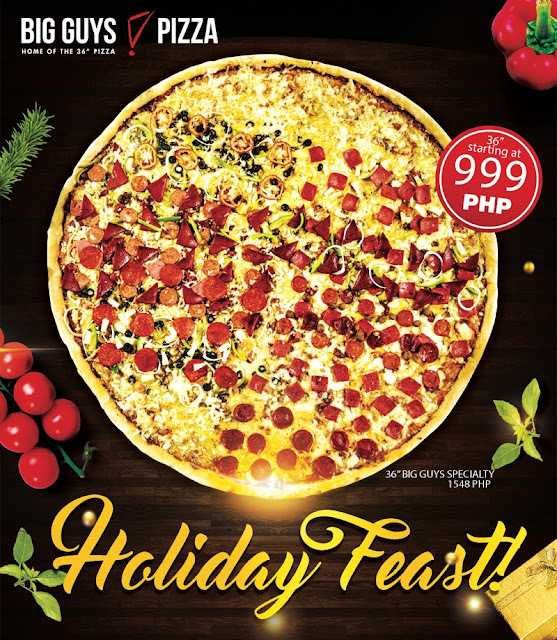 Big Guys Pizza currently has 14 branches across Metro Manila and will soon expand all over the Philippines.